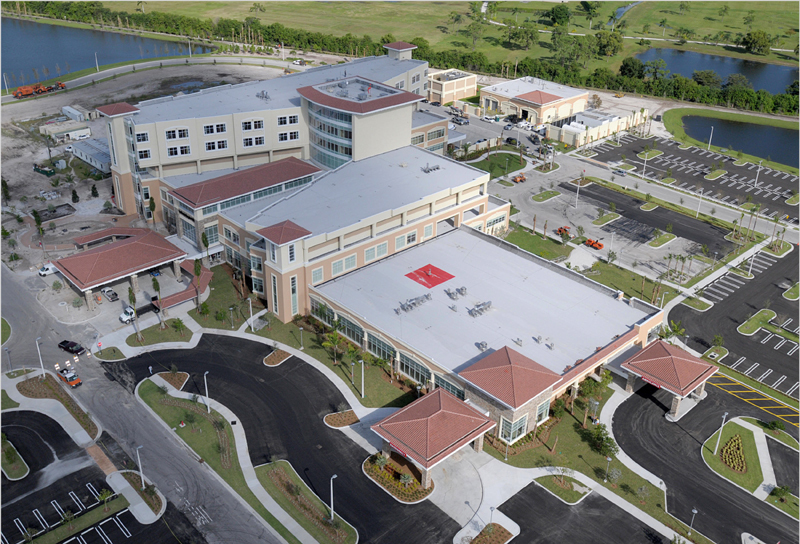 Bethesda Health is building an all-new, 80-bed hospital to serve the communities of western Boynton Beach. Located on the northeast corner of Boynton Beach Boulevard and U.S. 441, construction for the new Bethesda Hospital West began in May 2010 and will open in January 2013. Construction of Bethesda Hospital West began May 25, 2010, and two onsite physician offices are planned for the site, when the hospital opens in January 2013. Bethesda Hospital West and Bethesda Hospital East will have one medical staff, with 300 full-time employees and volunteers. Bethesda Hospital West has been designed for growth and can expand to become a 400-bed hospital in future years.